The latest idea from Apple, which comes from the Office of Patents and Trademarks of the United States, can be described as curious, but risky as well. The paper describes a user network that can lend to each other through an application developed by the company. If at some point you will need emergency cash, you could connect to this application to find someone close to you, ready to lend you money. Once you have found that person in cash over reuniríais you to complete the transaction: your new "friend" you lend money and Apple, to automatically conduct a charge on credit card you used to register for the application. Thus, the application ensures that the load immediately borrowed money to deposit in the account of the person you've located. Apple would also take a commission. 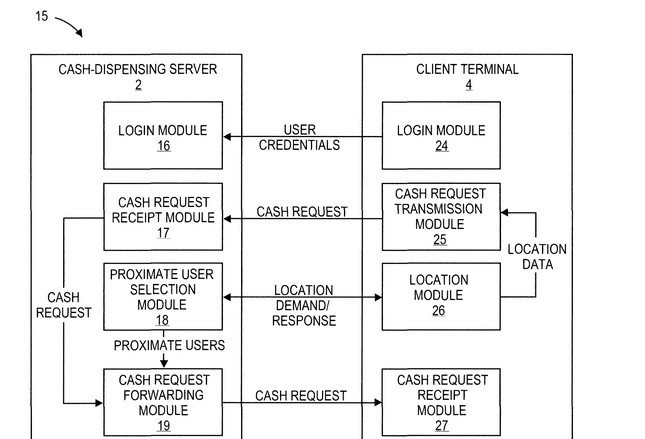 This patent has been dubbed "AD-HOC NETWORK CASH DISPENSING" and was recorded by Apple in July last year, but has not come to light until this month. We do not believe we get to see this idea applied, as it is risky and basically put on the map to victims with cash on top. The ATM we will remain a useful and safe in this type of tasks. Article Apple patents a app to lend money to other people has been originally published in News iPhone .